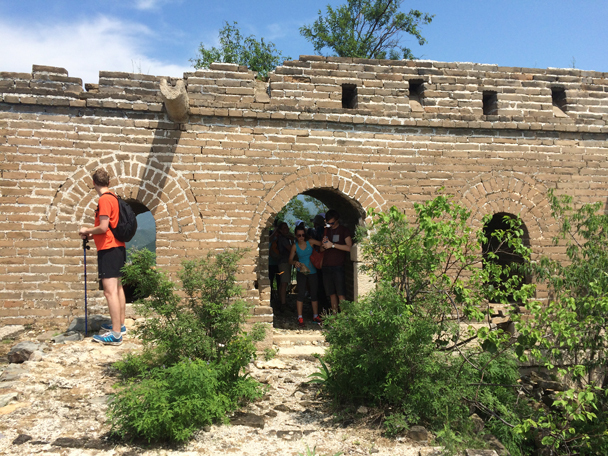 In Brief: Photos of the Walled Village, the Huanghuacheng Great Wall, and the Little West Lake reservoir on a blue sky hike. 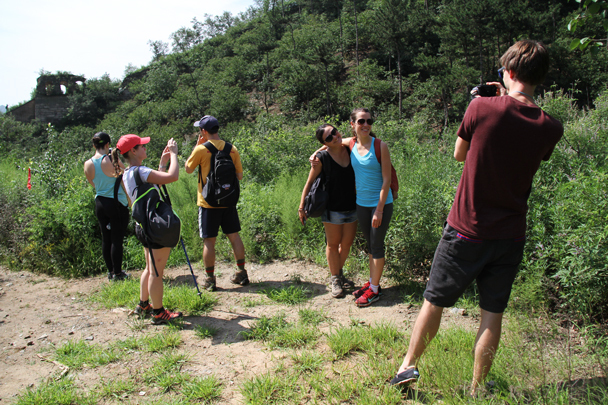 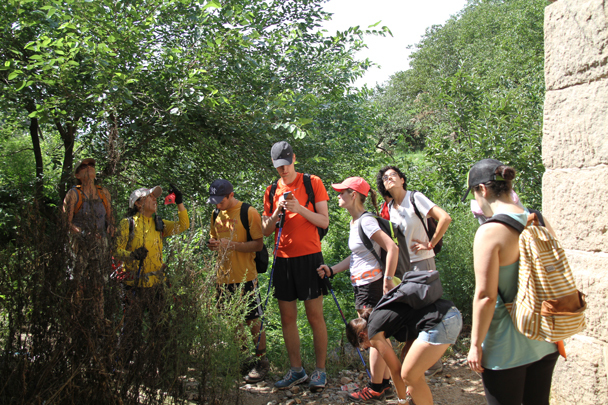 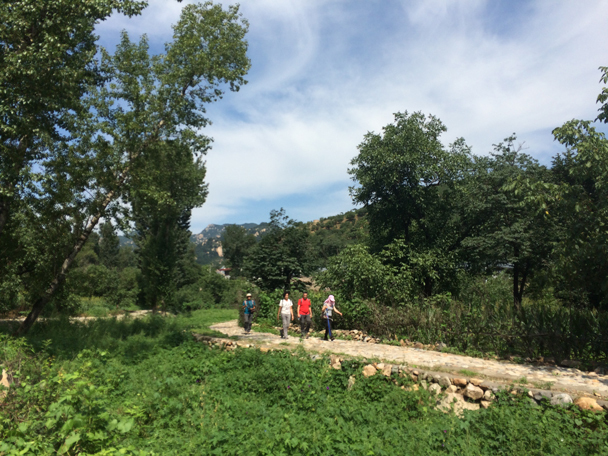 On this hike we had lovely blue skies to go with all the greenery in the hills, and with Beijing Hikers’ Big Boss Huijie leading the way hikers got a lot of detail about the history of the area as well as a great hike. 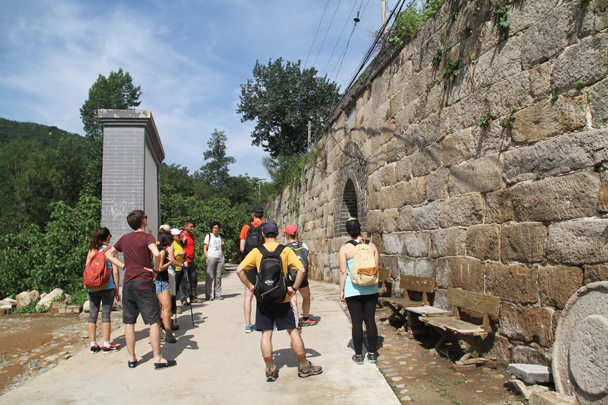 Outside the Walled Village, formerly an army barracks during the Ming Dynasty. 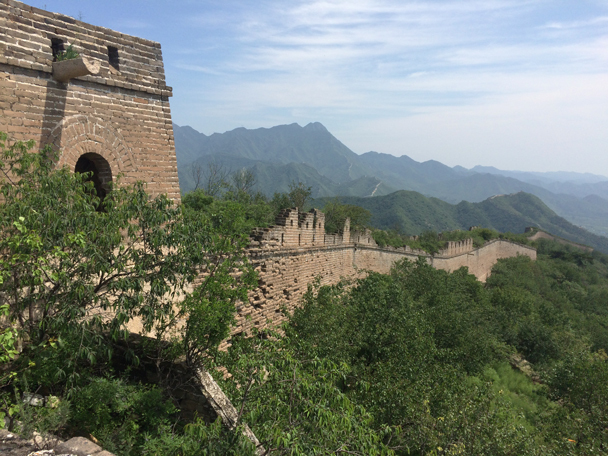 We climbed up on the walls to get a better look at what was inside. 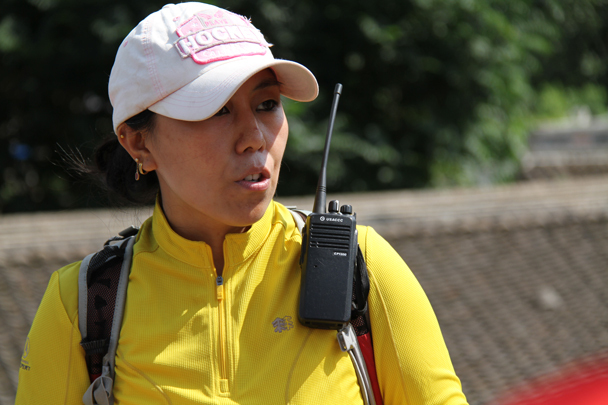 Beijing Hikers big boss, Huijie. 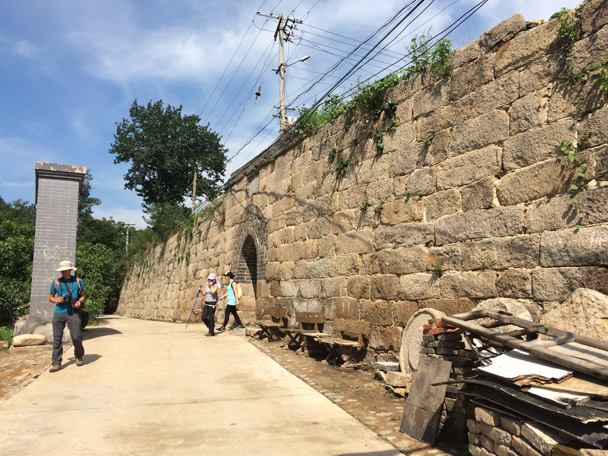 Coming out of the Walled Village. 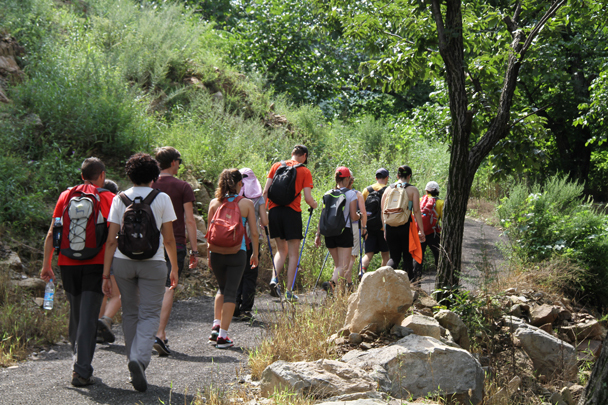 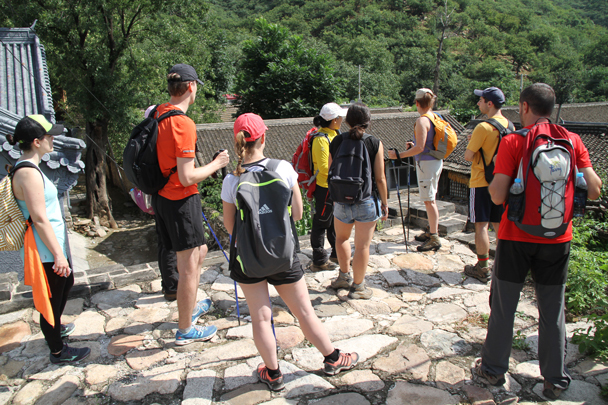 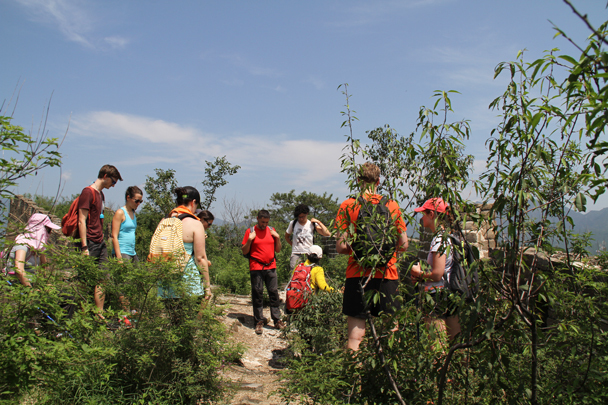 After looking about the Walled Village we set out on field trails, heading for the Great Wall. 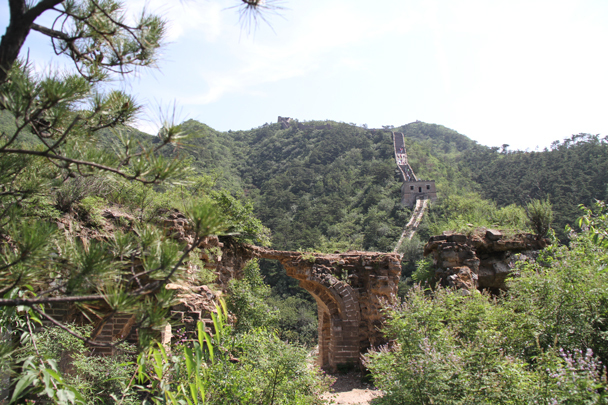 The trail through the trees, on the way to the Great Wall. 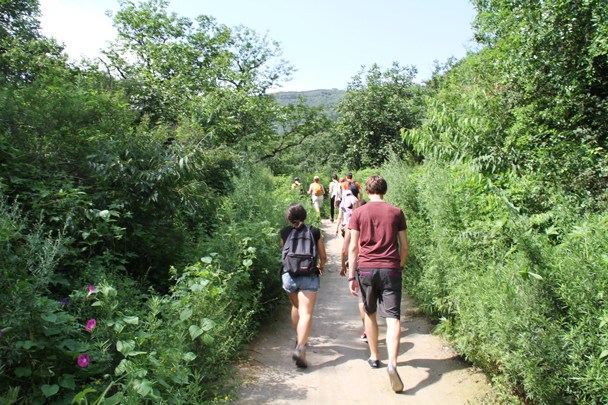 These trails through the orchards are used by villagers to carry out harvested chestnuts and walnuts. 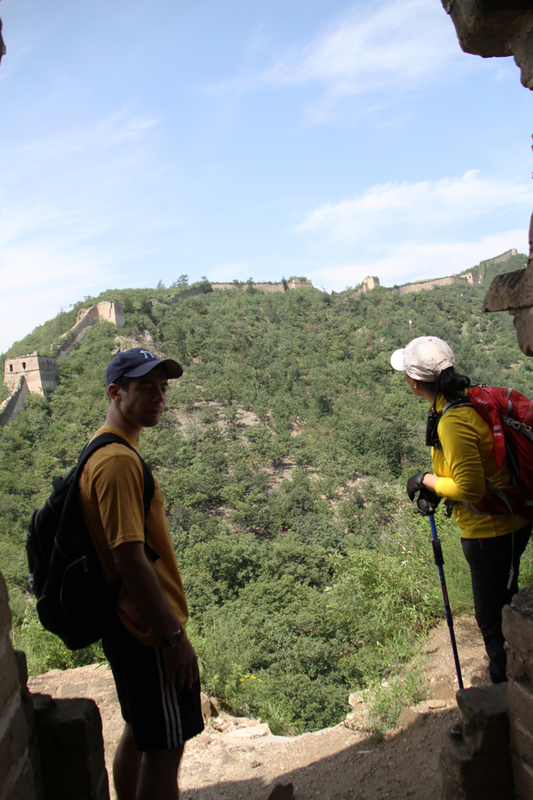 The Great Wall is just visible on the ridge; we'd walk along that same stretch later on. 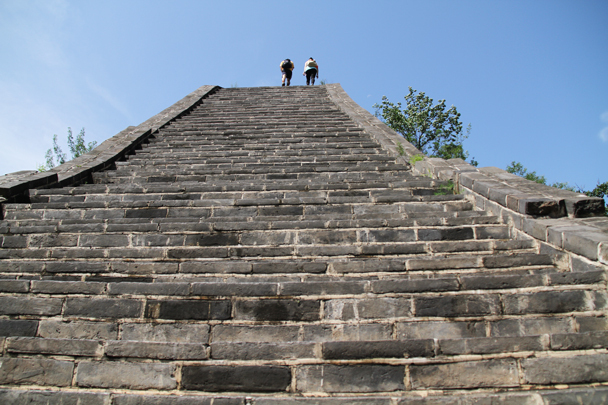 Some very steep steps on a partially restored section of wall. 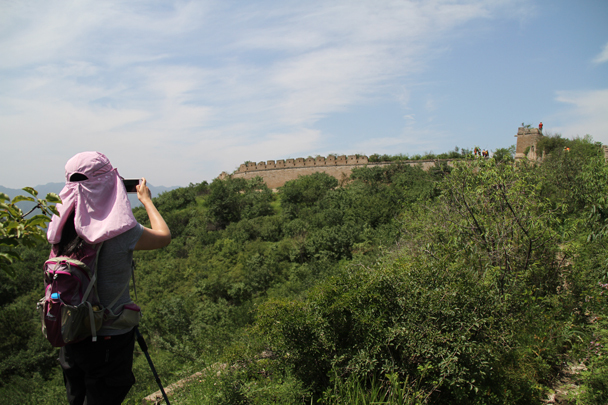 Staying out of the sun as Huijie talks about different features of the Great Wall. 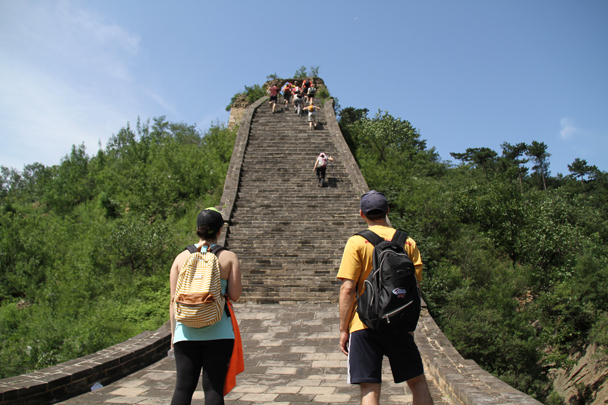 Made it to the top of the steep stairs. 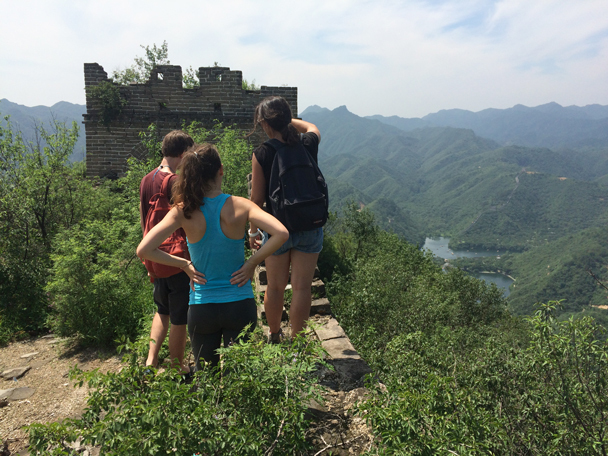 We hiked up through these towers. 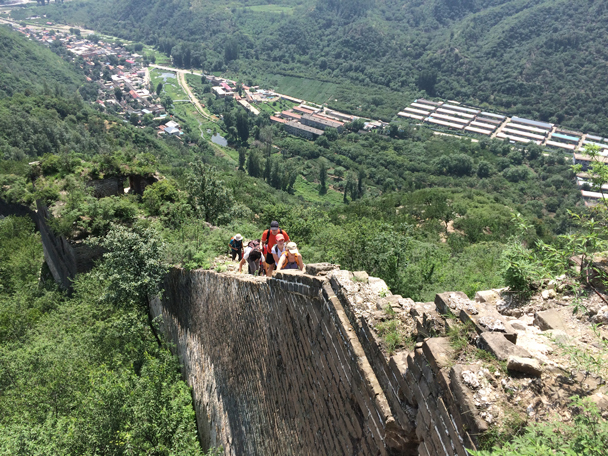 Looking back the other way, to the Great Wall on the other side of the valley. 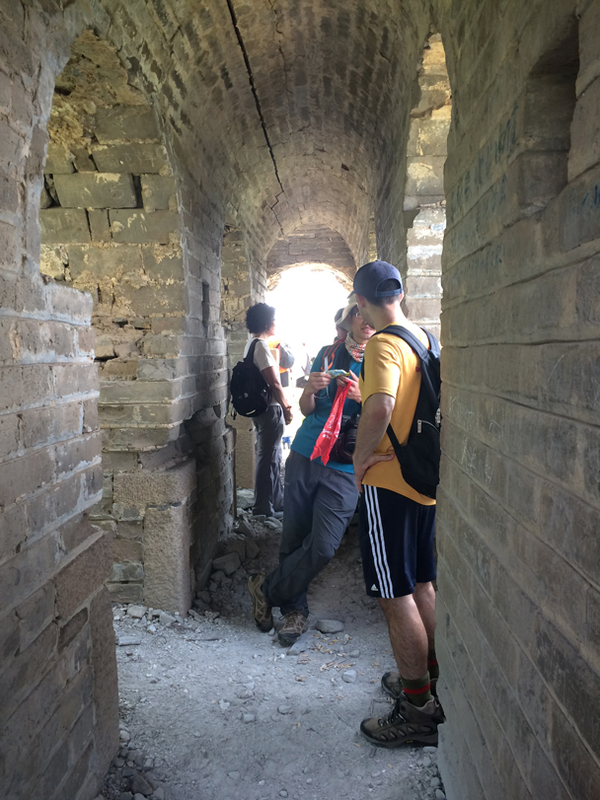 Taking a break in a tower while looking at the next part of the hike. 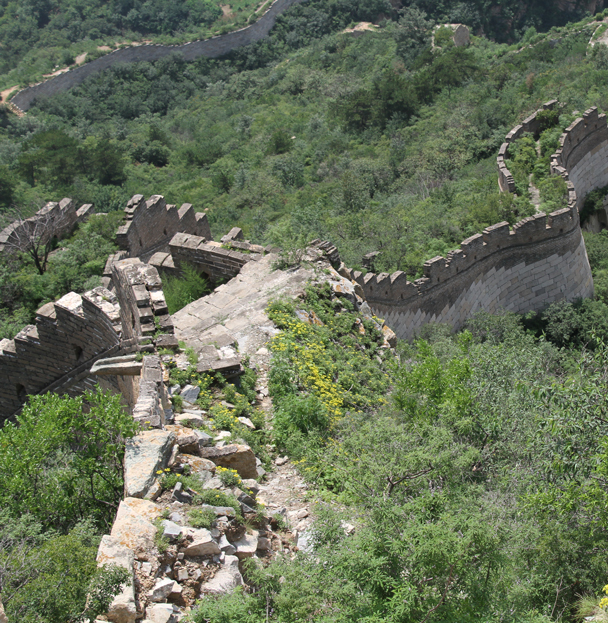 A tricky section of broken down Great Wall. 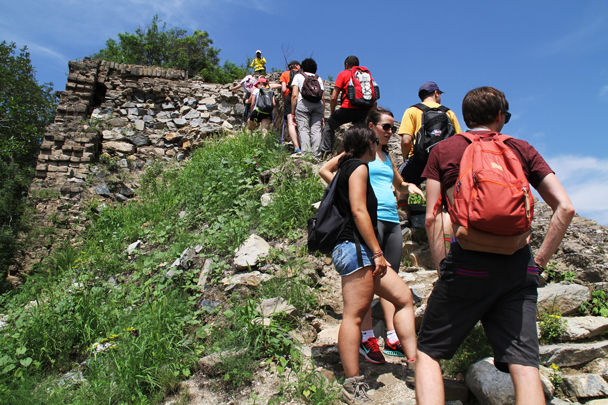 A steep section of the climb. 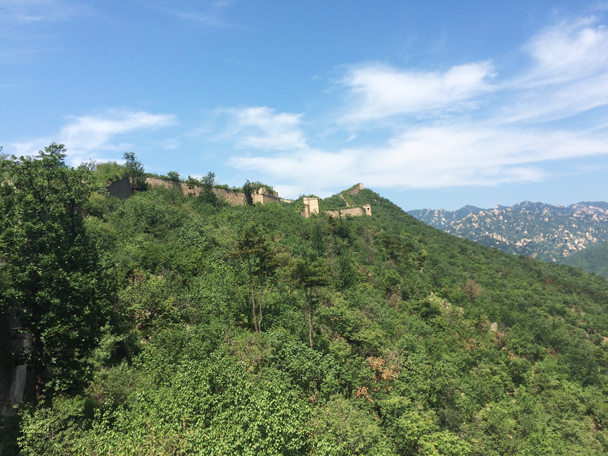 The Great Wall is almost hidden amongst the greenery. 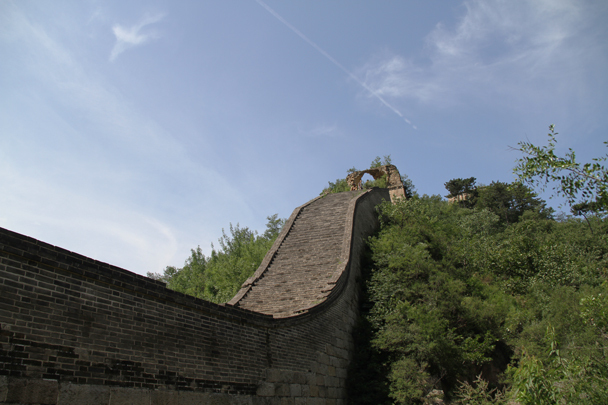 Lovely view of Great Wall below a blue sky. 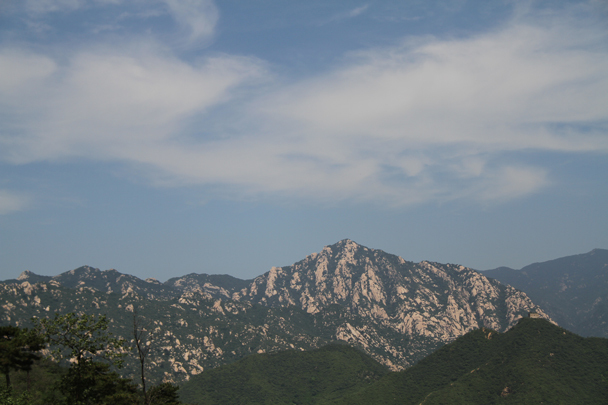 Looking across at the mountains. 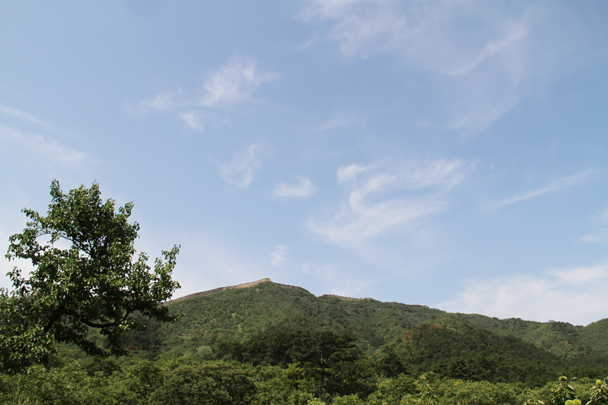 Resting in the tower, out of the sun. 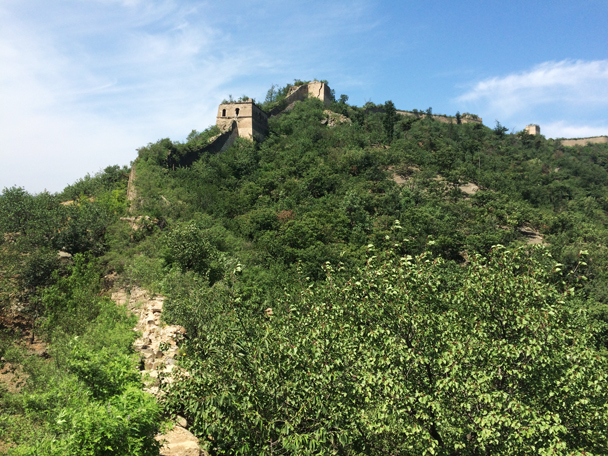 Looking back along the wall, with more Great Wall faintly seen in the hills in the background. 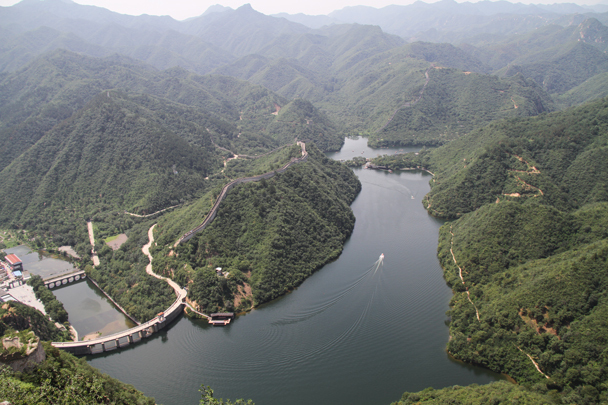 The Little West Lake reservoir. 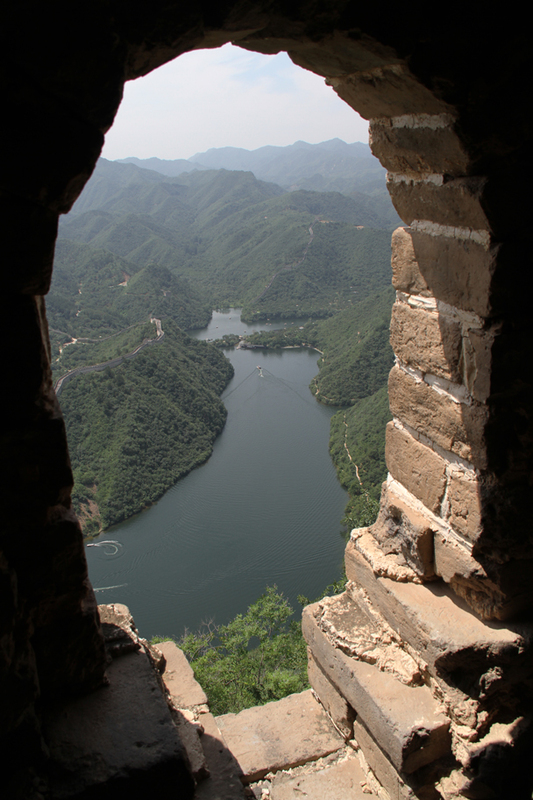 From up on the wall we had a super view of the Little West Lake reservoir. 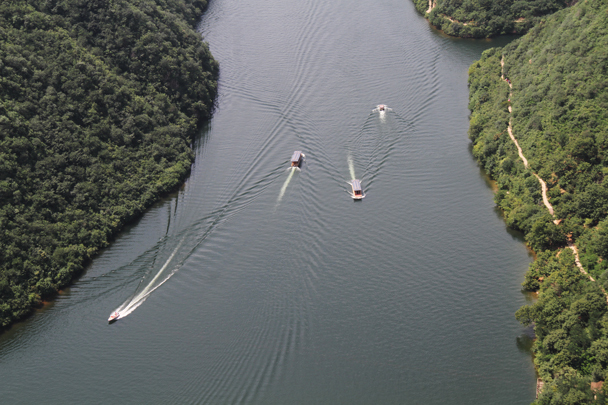 Pleasure boats going back and forth. 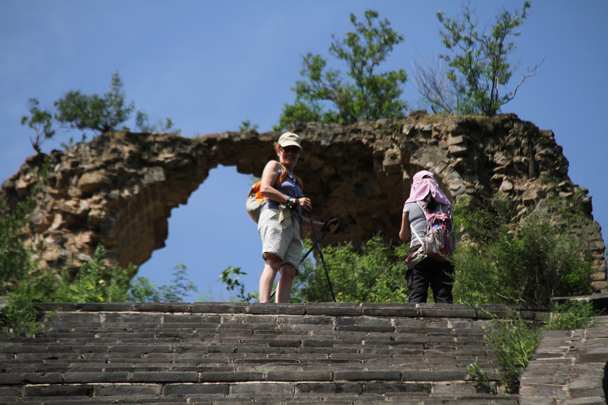 This is as far as we went on the wall here, with the extremely steep broken sections no fun to walk on. 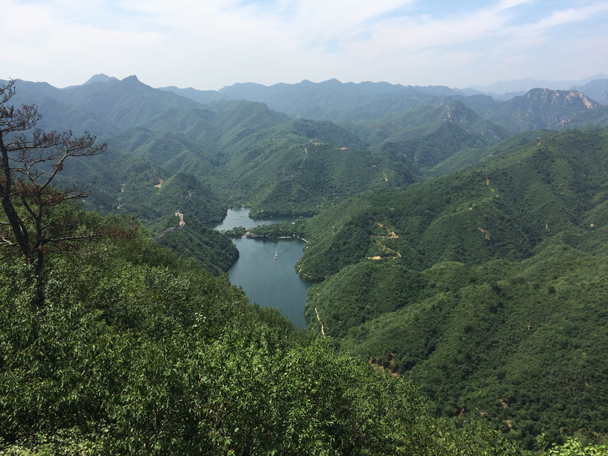 Looking out across the reservoir. 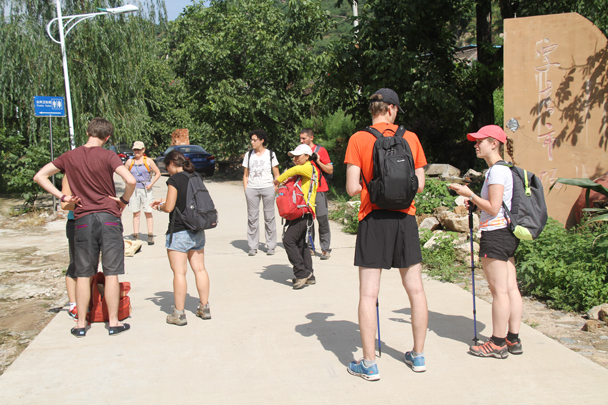 Getting ready to head down a hill trail to finish the hike.